Recently I came face-to-face with someone in a bad situation. I won’t share details to protect her privacy, but it was maybe the most desperate situation I’ve encountered in a long time. She was desperate for God. Desperate for help. Desperate to change her life, her behavior, her circumstances. She was crying and pleading for happiness and peace. In the midst of this turmoil and begging for help, she looked me in the face and said, “I’m such a failure… I just see your Facebook posts and …” and she went on to imply that I had it all together. That my life was perfect and even that I was perfect. Her perception of me grieved me. My life cannot be summed up by my Facebook posts. Yes, I share the best of me online. I think that’s what most of us share. Because it’s just not fun to share the ugly. I’m not superwoman. I don’t have it all together – not even close. Every time someone says those things to me… I cringe. Let me assure you: I am not perfect. Yes, I am a Christian. But I am a struggling Christian who has very recently doubted my faith and salvation. I don’t read my Bible every day (although I am working on that) and I sometimes wake up on Sundays and just don’t want to go to church. I get angry and hurt and hold grudges. I get jealous, I sometimes gossip and hurt people with my words. I unfairly attack my husband when I’ve had bad days. I have my priorities out of order and wonder if I’ll ever figure out how to get them in order. I know I can with God’s help… but I don’t always ask for it. Yes, I homeschool my kids. But we skip days often and sometimes we skip entire subjects when I just can’t get it together. In 12 years of homeschooling, we’ve never finished a curriculum from beginning to end. Do you remember our first day of school this year? Yes, I have friends…. but not many. I often feel very lonely because my closest friend in the world lives in Italy and it’s not easy to make friends as a homeschooling Mommy living in the sticks. Lots of people know who I am… but very few really know me. Yes, I am a housewife. But my house is a wreck. And I’m not one of those people who has one shoe out of place and calls it “a wreck”. When I say “a wreck” I mean my floors are sometimes so gross that I can’t walk in my kitchen bare-footed and I often can’t get a glass of water because my sink is eternally full of dishes. There are at least 5 loads of laundry that have been piled up on my couch for days and I had to choose what to wear to church this week based on the only pair of clean pants I could find. Yes, I am a mother (or “Mommy” actually – that’s what my kids call me). A mommy who often lets my kids watch way too much television and play way too many video games. A mommy (and cake decorator) who forgets to plan her own child’s birthday party or make him a cake. Yes, I did. A mommy who sometimes lets the last thing I say to them at night be “Get in the bed NOW or I’m going to LOSE IT! !” instead of a bedtime hug and kiss and prayer. A mommy who really doesn’t like staying at home all the time, but is too lazy and/or tired to go to “park day” or “game night” with our homeschool group. A mommy who is 60 pounds overweight and hates it, but really doesn’t have the will power to say “no” to chocolate or that extra serving of scalloped potatoes or “yes” to my treadmill or one of the many exercise DVD’s I’ve wasted money on bought. 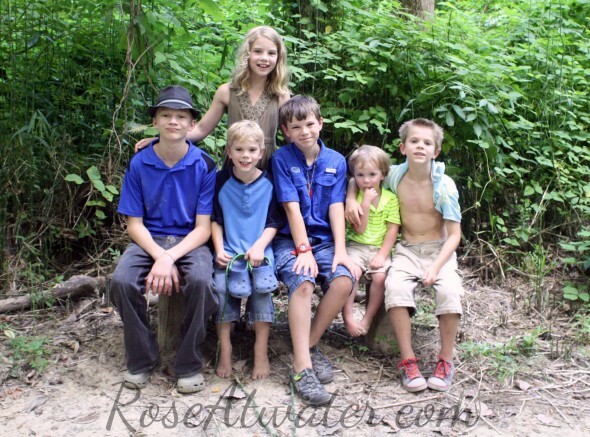 Yes, I have 6 beautiful children. Children who scream and fight. Children who rebel and disobey. Children who almost never clean their room without complaining and being told a hundred times. Children who don’t get a bath every day… or even every other day. Yes, I take pretty pictures of cakes. But my little photo zone is pretty on purpose. But I’ve had major cake failures – pictures I’ve never shared because the customer was upset and I cried the ugly cry and I was too embarrassed by the whole thing to even consider telling you about it. Yes, I’m a blogger. But I’m on the computer way too much and I can’t for the life of me follow any kind of blogging schedule. Most of my family doesn’t even read my blog and some don’t understand what a blog even is. I have very few blogging friends and none that I can call close friends. I’m never in the “in” crowd when it comes to food blogs or baking blogs and I don’t have a “network” that I really consider myself part of. Blogging is a lonely, lonely job and if not for readers and those who leave comments, I’m sure I’d have quit ages ago. Yes, I have an amazing husband and a solid marriage. But he’s not perfect either. We spend much of our life together now laughing and loving, but we still fight and we don’t always fight fair. 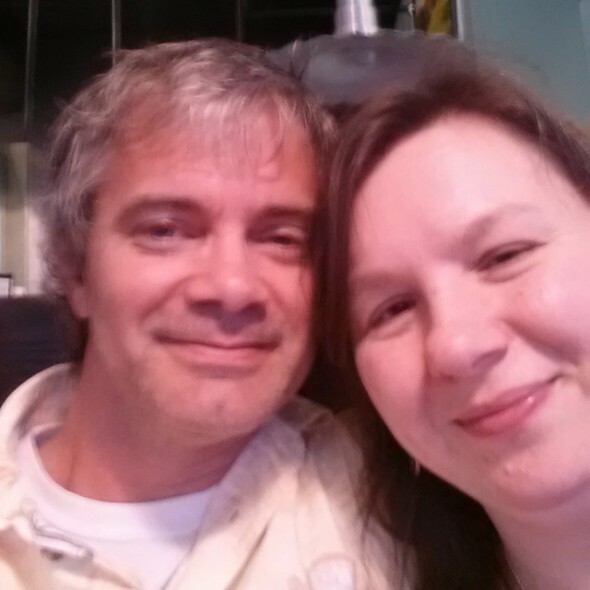 He cooks wonderful meals and takes care of me like no one else could…. but sometimes he watches too much football and doesn’t always pick up his dirty dishes. He is a good man, an amazing Daddy and the perfect husband for me. But he’s not perfect, I’m not perfect, and neither is our marriage. We’ve gone through very, very hard times and it’s taken us many years and lots of tears to get where we are now. We’ve been dishonest with each other, we’ve hurt each other – and thank God we stuck together because there were times it seems like it would’ve been easier to walk away. Because it’s so easy to look at someone’s blog or Facebook timeline or Instagram feed and think they have the perfect life… they have it all together. And then we start to look at ourselves and feel like failures. I know this because I do it too! And I have to remind myself… most people only show the world “the best” of their life. People share the cute or funny pictures of their kids – not the screaming fit they had in the grocery store. They share the perfectly cooked meal – not the breakfast they burned or the disastrous kitchen in the background or the cereal they served their kids for supper because they were too lazy and tired to cook a real meal (yes, I’m talking about me). They share the perfect new outfit – not mentioning that they had to buy a size larger than the last time they bought clothes. Or my favorite… they share the amazing vacation photos (those are the ones I’m always truly jealous of) – without telling us how many times they sacrificed a meal out to save for that trip or instead the massive debt they accumulated because they don’t save at all but spend money they don’t have. Nobody’s life is ever as perfect as it might appear online. It’s just not. So the next time you’re browsing Pinterest or Facebook or Instagram, getting more and more depressed because your life isn’t like those you see online – SNAP.OUT.OF.IT. All of those pictures aren’t real life, or if they are, they’re certainly not all of their real life. The Bible clearly says that “for all have sinned and fall short of the glory of God”. All means all. We all have imperfections and short-comings and sins. You can’t let the fact that you don’t see the imperfections of others make you feel like you’re the only one with imperfections… it’s just not true. But there’s good news too… [the Lord said] “My grace is sufficient for you, for power is perfected in weakness.” While I am not the perfect Christian, wife, mother, housekeeper or anything else… He provides His grace and mercy to me (and it’s new every day!) and he uses my weaknesses for His glory. He promises that if I keep seeking Him, He will continue to work in me. And that is enough. It’s enough for you and enough for me. I love you all… my friends and readers and I’m so glad you’re here to read about my sometimes boring life or my pretty cakes or anything else I’ve chosen to share – but please know – you’re never seeing the whole picture! I’m a real person, with real problems, real faults, and a real very imperfect life. Update: This will be my Day 14 in the 31 Days 2013 Challenge. I’ll be back tomorrow with a “regular” journal entry. OMG!!!! I thought I was the only one that had those issues. Someone shared this on FB – and I’m so grateful they did. Thank you for your honesty and vulnerability. There are NO coincidences in God’s world!! I’m in tears right now because I don’t feel so alone!!! I’m not the only horrible house keeper and “slacker” when it comes to doing things with Lizzy (She is my ex husband’s daughter’s baby – but my NOW husband and I are raising her). I feel so ill equipped sometimes….now – I know that I’m just human!!!! Thank you – THANK YOU THANK YOU THANK YOU!!! You have been God’s messenger in my life this evening!! You’re very, very welcome Candy! None of us are alone in those feelings…. big HUGS! My friend, this is one of the best things I have read online! And so VERY true! Our internet lives are our public lives. We hide the real truth because we’re afraid of what others might think or say or do. But (and this is a big but) God takes all of our imperfections and makes something beautiful out of it. Thank you for being brave enough to speak truth…and life. I know others will be encouraged by it. Rose, I’m pretty sure we can all, yes ALL, concur. I sure don’t like all the angles my camera finds, either. And talk about clothes stacked on the couch, well don’t we all have that, too? And I only have 1 child at home and he can do a lot and does around the house when I ask. I got up Sunday and didn’t go to church just because I was too tired…etc. Relating with you. You are an amazing woman, Mommy, friend, etc. but please don’t be down on yourself. You get a lot more done with greater ease than many people. The Lord has blessed you in many ways, I know you know that., just reminding you. Know you’re looked up to by many, and in reading this blog post, you’ll have many more look up to you simply because most of us don’t have the guts to be this honest with ourselves let alone placing it on our blog. Rose, it is my pleasure to encourage you, stand behind/beside you, and extend God’s love to you at all times. Sharing can be fun, but you’re SO right that we give people the wrong idea of what life is like when we only share the good. Thank you for reminding us that we’re only getting to see a tiny piece of someone’s life when we read their online posts. Love this! Thanks so much Jen! I’m so happy to have you as a friend (and for always replying to my crazy blog freak-out moments… haha!) <3 PS - THIS is the stuff I always had floating around in my brain with nowhere to share it... thanks for helping me build a beautiful space!! This was beautiful!! Meaning it was complete honesty displayed for all to see. Yes I am one of the family members who rarely read not only yours but anybody’s blog. But for some reason today I opened it. And to be honest I tried on 3 different occasions to read it but in my very imperfect life, got distracted and stopped! But just now tonight when I finally sit down for 5 minutes I opened my fb page and it was still here where I left it. And so I began to read and at moments even wanted to cry.. You are a beautiful person inside and out and yes my only SISTER! Which in itself makes you special to my heart. Just wanted to tell you thank you, thank you for doing and saying what many including myself don’t say but most all who are honest need to hear.. We all struggle in many different ways and we all hurt and I personally can completely identify with being lonely.. It is bittersweet. I am so thankful for my three wonderful healthy children but I am human and every adult needs adult conversation. I don’t get that much.. And the list could go on and on.. Just know that u don’t walk alone in any of the things you think you lack in. I am in that same boat with you! Thank you again for sharing I love you!! Thank you Amanda. You had me crying… I love you to pieces and just having you in my life is a gift and blessing. I’m so proud of the person you are – the mother and sister and hard worker. I’m always here for you – and don’t you forget it!! All my love little sis… all my love! I like the “real” Rose Atwater. I am thankful that you share your real experiences with us- you open your life up to us with or without fear of rejection- it is courageous and wonderful! That’s what makes you so loveable and fabulous! Oh my goodness, thank you for this post! It’s so true. I have stopped looking at Facebook because I found ti depressing. It can so often be hard to remember that everyone’s life isn’t perfect, even though they (myself included) make it appear so on Facebook. I think this post illustrates how so many of us feel, at least I sure hope so…it seems pretty darn normal to me. If only someone would come over to my house and unload and load the dishes for me (though don’t get me wrong, I am SO thankful to have a dishwasher) and vacuum the house. Thank you for reminding me that this is normal life and we all deal with it. Really needed to hear that this morning. I’ve had several friends tell me that Facebook brings on depression and I say if that’s true for you, step away! I know it’s an easy way to connect but you don’t need anything in your life that always brings you down. Big hugs and prayers for you Sandy!! Thank you so much for sharing such a personal side of who you are. We are all flawed humans and it does help for others to see that side of us. You are such a beautiful person and I so appreciate your generosity of sharing not only your beautiful cakes but the knowledge of creating them! I also appreciate you sharing your life with your readers. I don’t know how you do it all with 6 young children, not to mention running a cake business and blog. If I did what you do everyday, I would have a nervous breakdown! You are my inspiration! Praying for you! I’m pretty sure I do have nervous breakdowns at least once a week 😉 Thank you always for the prayers!! Hugs! I loved reading this. I am not a stay at home mom but rather a working or “career” mother as I like to call it. I get upset often when I read about all the stay at home mommies on fb and I wish sometimes that I had that option. It gets me down. While I love my job, I would love to be home with my kids during the work day. Especially when they are so young (1,2 and 3). It isn’t an option for us right now. I am the one who supports my family sincey husband runs a small business that is still growing and sometimes doesn’t pay himself. I too share the happy and funny moments of my life but believe me, my life is far from perfect too. My house is a mess, my kids eat pre made meals from Costco that I heat in the microwave and some nights it’s take out. I want to go to church but don’t want to leave my kids in the nursery because I don’t see them during the day during the week. I’d rather spend every moment with them when we are not working so I can soak it all in. Laundry piles up, my car looks like a tornado went through it and the treadmill collects dust. Diet, my diet is coffee and whatever is left on the kids plates. I don’t know what a good nigt sleep feels like anymore but appreciate a couple hours here and there. I too don’t have many friends and don’t have family that lives close by. You are right, we all have chaos and drama in our life and fb is not 100% reality. What’s important to remember is that this is our life, it’s what we were meant to have and the chaos, drama and imperfections make it real. My dad taught me that we can’t let the bad stuff get to us. Have a positive outlook and be a positive person and then the bad days won’t seem as bad. I get in moods, I want to scream sometimes and then I move on. Again. I loved your blog post! It sounds like you’ve really got your plate full! Big HUGS!! Be encouraged that your kids love and appreciate every moment with you – even when you don’t feel it’s enough! I absolutely love your post and can totally relate! I have been feeling so much like this some days! I need to hear all this! Thank you for sharing! I’m so glad you could relate and be encouraged! None of us are alone in these feelings! Prayers and hugs back at ya! Thanks for commenting! You have touched me with this honest “deposition”. I live in Denmark but I found myself nodding in agreement with everyone of your paragraphs. I too sometimes believe that the grass is always greener on the other side but deep inside I know it is not. Loved this. Thank you for sharing and being honest and reminding us that we are all sinners in need of an amazing and wonderful God who loves us not because we do anything worth loving! So encouraging. You are amazing. Keep it up momma!! Thanks for the encouragement Jessica! I thank GOD for this blog, for blessing me through you. I may be the only guy that has read this, (or at least the only guy that has dared to comment!) but we all (guys and ladies) share one thing in common. We are the broken. None of us has it altogether! But thank God for GRACE! It is our only hope – but God’s grace is a sure and certain hope! Thanks for sharing the “gospel” in a real way, from your heart! You made me smile! At the very least, I know my husband read this one so you’re not totally alone! 🙂 Thanks for reading and commenting! A friend of mine posted this, this morning. Thank you, thank you, thank you. We all need to be reminded that we are not perfect, that NO ONE is! I often spend too much time on the computer, wait until the last minute to “cook” supper and yell “just go to sleep” to my five year old, as the last thing she hears before falling asleep. (I could go on and on, but you get the picture) All of us think we should be as perfect and wonderful as all those pinterest people! I have a tons of “pins” and have yet to actually do one of them! I really appreciate your candor. Thank you again for a great reminder. You’re very welcome! I”m so glad you stopped by! Thanks for sharing this! I feel like this all the time! It’s amazing how many of us are feeling this at times, huh? God bless you! How do you know me so well?? I felt like everything you wrote hear was just another day in my life. Thanks for sharing! This is my first time reading your blog (a friend shared it on Facebook) & I love it. I completely agree. I also only post “the good stuff” & people swear I have it all together & nothing could be further from the truth. I’m so thankful for God’s grace. This was such a great read. I will be sharing it as well. 🙂 Amen! PS… my blog is nearly brand new – but I’m really glad you found me. Thanks so much for your compliments and for sharing! God bless you. You are not alone. God bless. AMAZING insight! I know many people who think exactly that and now I can send them here to show them they are incorrect in that assumption! Thank you for sharing this!! You’re very welcome and thank you for sharing! Humbling! I read with sincere interest as you poured out your flaws and weaknesses. It is comforting to be reassured of needing reassurance. I too get jealous of vaction posts (only had 1 in last several years), perfect looking pictures of perfect looking families, and envy what appears on the surface to be so much better. I will find myself wondering if God loves them more than me, or am I being punished for some sin. Both of which are lies, yet it’s against our flesh we struggle against. I have 2 not 6 children and they are both in high school now. I did try home schooling, but felt like a failure when I compared myself to other home school moms. My house too is a wreck and only God knows the struggles in my marriage. The thing that I loved most about your posting, is the end, where you remind us all of God’s grace and how he will continue to do a good work in us all. But God! Those 2 little words have helped me thrugh many difficult days. Thank you for your insight and being so vulnerable. Thank you for the reminder of a Savoir who loves me and you where we are now, not where we think we need to be. God Bless. You are so funny!!!! I needed this today! I so want to start a blog and feel led to to do so and for this purpose…to shed my skin to the world so they can see the real in people’s lives who know Jesus. Thanks so much!!!! You’re very welcome! Hugs to you Jacqueline! Thank you for this post. We all need reminders that life is beautiful just like it is today. Messiness and all. Your non perfect post was just perfect ;). Wow! This is beautifully said. I think it is a reminder we all need and I can feel Him working through you. Thank you for sharing! A dear friend shared this with me and as I read this it reminds me of the first several years that I stayed at home with my children (which remarkably meant I spent very little time at home…). I had been a working mother and was so looking forward to this idealized SAHM world that I only saw online or The Brady Bunch. I was devastated that I didn’t read bedtime stories every night and that I didn’t make homemade granola bars for snacks. I never planted a garden and I still can’t let all 4 kids “help with dinner”. I constantly felt like a SAHM failure. It is only from true friendships and honest posts like these that I see that I am not alone, I am not a failure. I am a mother of 4 who like all of us is a sinner and needs daily comfort and mercy from God to make it through the day. As my acquaintances become friends and I see their “real” lives and their real houses and their real children I realize that all of this sugar coating that we give ourselves really does a disservice to those around us. Our Christian witness cannot be a facade. We must be real in our sin and real in our salvation. We can’t preach salvation without showing the sin from which we are saved. Thank you. Truly. I LOVE THIS!!! Thank you for sharing!! I would have to agree that your journal entry here is the best thing I have ever read on-line (or even in hard copy). Your authenticity is beautiful. I got a good chuckle as I relate. We are friends in spirit. Praise God for what He does in and through us! Our MOPS group was just talking about this two weeks ago! Very timely post! As a reader of your blogs for the past 3, almost four years let me tell you something. I have always admired your large family, the love you express for your husband and him for you, seeing your beautiful kids grow, and your amazing talent in cakes. With all of that though, I must say this post makes me respect and admire you even more than I ever have. We do sometimes forget that there is a whole mess of things that can go on beyond just a status or a few pictures on Facebook. We are all human and sometimes need a reality check. This post was just that! Thanks and continue being you, you’re pretty great in my eyes! I know I’m late to the party but I had to comment. Completely love the post and your honesty!! So very proud of you!! Friend, I miss you with my whole heart and this just makes me miss you even more. Thanks for being real! 🙂 It’s always refreshing, especially when we allow ourselves to get caught up in comparing ourselves to the “glimpses” we have of others. I love “real” people!! No one has it all together. If you get to know people then you find out all you thought about them was a façade. Thanks for a worthy read. Rose~ I just wanted to say that I really enjoy you. I recently found your Rosebakes blog and have been pouring over your pictures and tutorials. I have VERY recently stepped out to bake and decorate cakes for others—sometimes getting paid for it. It terrifies me to step out like this, but I know what God has called me to, He will equip me for. Anyway, I just found this side of your blog and wanted to let you know that I like you. You are real and inspiring. I am a stay-at-home mom of 2, volunteer-aholic, a wondering servant of Jesus. I find hope in your words and I just wanted to let you know. Keep doing what you do and know that you are giving hope to this new baker. Thank you. Thanks so much for your sweet note Amy. I’ve been pretty down and discouraged the past few days and it means a lot to know that I’ve helped even one person. May God bless you. OH! That makes me want to give you a hug! I will pray for you and know that God’s Hand is still there to hold you and lift you up. I hope that your shoulder pain subsides and you are able to rest and heal. Strange how you can read a blog like this and feel like you know a person! From one wife/mom/daughter of the King to another, know you aren’t alone. I have felt so many of these same feelings . I am a career mom however and have such overwhelming guilt about not being with my child more, that I long to spend quality time with her. When I am with her we tend to argue like cats and dogs which in turn makes me want to go back to work where I have little to no conflict. 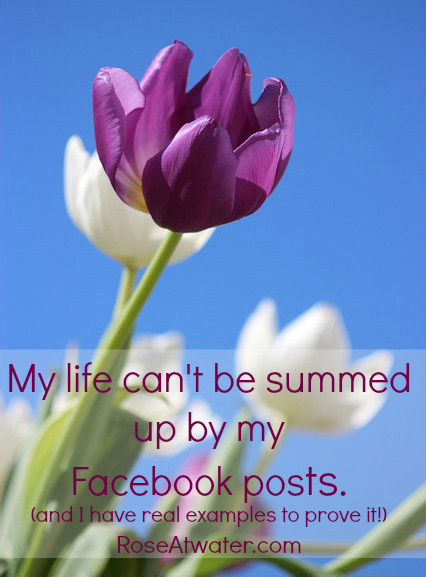 I recently gave up facebook because I felt so torn, almost depressed that my life didn’t seem quite as good as everyone elses appeared to be. What I found is that I devoted so much time to worrying about everyone one elses lives that I was missing out on so many great moments happening in mine. I struggle with many things, like not being able to fulfill the list of 500 things that my day must hold and doing most of them half heartedly. My daughter informed me that she doesn’t like the food I prepare for her because I don’t put enough love into it. After evaluating myself thoroughly I realized just how right she is. While yelling about getting homework done and fussing about laundry that hasn’t been started I throw something together that vaguely minics a meal although less tasty and forget to throw in a dash of heart and soul. I struggle with my home not being clean enough. Clean up put that away wipe that up dont put that there is that where that goes is this how we do this thats not how we roll in this house. Rather cdo… (even ocd is just not good enough but then again thats me). So with all this being said I get what it is like to pile on the pressure to be perfect and always get it right when more than not I get it wrong. So thank for letting me know that I am no the only one. I don’t know how I landed today here on this page. It doesn’t matter. You are right 200%. Thank you so much for sharing. I was scrolling on Pintrest and I saw the picture with your quote on it. It definitely grabbed my attention so of course I just had to read your blog. I am so glad I read this because I am guilty for looking at Facebook and thinking everyone’s life is perfect except for mines. To be honest I thought the samething about you Rose. I try to tell myself that I am not the only one with a imperfect life. Thank You for sharing this really hit home for me.